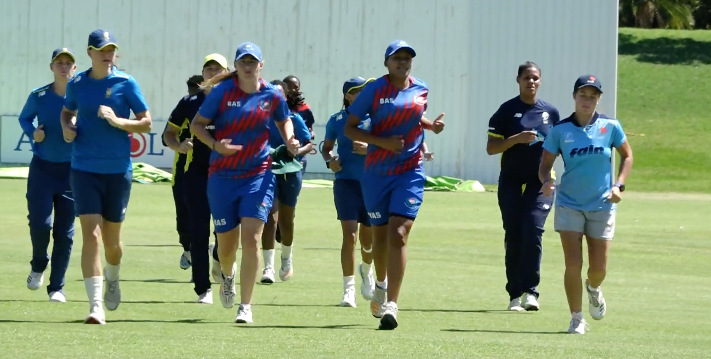 Moreeng was speaking during the first national camp of 2019 at the Cricket South Africa (CSA) Centre of Excellence where the Proteas Women have been practising as a squad since Monday, continuing to Friday 11 January. Sixteen players, including members of the Powerade National Academy, have been put through their paces since Monday. This as the national team look to have a more successful year, starting with their inbound tour against Sri Lanka starting on 1 February. Moreeng is pleased to see that a lot of work has gone into individual preparation for the new year during the festive season, and he has been particularly impressed with the refreshed mood and spirit within the camp, even as the players are being put through rigorous drills. ‘It was good for us to get together again as a squad and touch base with everyone, especially those who did not participate in the World T20,’ said Moreeng. ‘It was a good time to reassess where we are as a team and also to sit down and revisit our goals for this year. In the same breath, we needed to make sure that the players are staying fit and that the skills are sharp, and that they are where they need to be by the time Sri Lanka arrive. The group attending the camp does not include all the identified Proteas Women players, as six members of the national team (captain Dané van Niekerk, Laura Wolvaardt, Mignon du Preez, Lizelle Lee, Suné Luus and Marizanne Kapp) are currently representing their respective Women’s Big Bash League (WBBL) teams in Australia, and have been playing competitive cricket for the last six weeks. Moreeng added that he and his coaching staff have been in regular contact with those players to ensure that they are still on the right track for the busy year ahead. ‘Overall, we have an identified squad of 26 players who we are looking at ahead of the 2021 (ICC Women’s) World Cup, with more projected to come with youngsters from the U19 set-up, showing good signs for the future. At the end of the day it’s about performance and making sure that the team gets better. 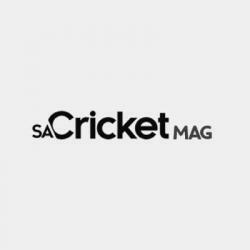 South Africa has a busy year of international cricket coming up, but more importantly, the three upcoming ICC events – the 2020 ICC Women’s T20 World Cup, the 2021 ICC Women’s World Cup and the 2022 ICC Women’s T20 World Cup – that the coach is keeping an eye on. He explained that 2019 is going to be an important year of preparation, which is why the coaching staff and CSA are also looking to recruit more youngsters into the team environment. ‘If you look at the fixtures, we have a World Cup for three years in a row, starting from the T20 World Cup next year in Australia, so we see this year as the year to prepare fully for the next three years. We need to make sure that each and every player gets enough game time and that one of the main focuses for this year is getting comfortable playing the T20 skills, because we know that we are still not as good as we want to be when it comes to that format. ‘We need to see how the youngsters go, you never know, there could be opportunities for one or two players that have been doing well in our system. Players know that they are playing for their positions now and the only way to stay in the team is through performance. This is why it has been very pleasing to see the attitudes and renewed focus in this camp so far, it bodes well for what we are trying to build towards,’ concluded Moreeng.